Aalto University was established as a priority project in the Finnish university renewal. The idea was to create a new innovative university merging science and technology, design and art, and business and economics. A key development action is to Strengthen research networks with high-impact international partnerships at leading research institutes and initiatives. This action has been implemented by establishing strategic partnerships with leading universities around the world, KTH being one highly valued partner. 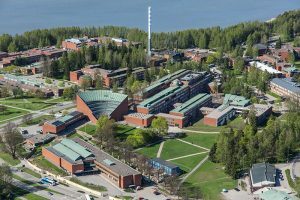 In addition, AALTO is a member of the N5T cluster since its establishment; therefore, the co-operation proposed in this proposal is fully aligned with the strategic priorities of the university. ICT and digitalization are recognized as one of the five key research areas. Within this broad area, digital transformation of industry is a prominent theme, along with other strong ICT areas of the university such as data science, software systems, and networking research (especially 5G). The theme of Industrial IoT is specifically addressed by Aalto Industrial Internet Campus initiative (http://aiic.aalto.fi/en) combining research teams from all engineering schools of the university. The research of the Enterprise Systems (ES) group at Aalto University focuses on digital transformation of industry and especially its implications to enterprise architecture, service and business platforms, ICT and data governance, and digital strategizing. ES is a research group at the Department of Computer Science, AALTO, the largest computer science dept. in Finland, providing world-class research and education in modern computer science to foster future science, engineering and society. ES consists of 2 professors, 1 adjunct professor, 4 post-docs, 10 doctoral students.